Referencing isn’t difficult when you know how – but many students loose marks for not referencing properly! Make sure you know what style of referencing is expected right from the start and collect all the details you’ll need as you go along. Referencing isn’t difficult but it can be tedious and it helps if you are organised about it. All sources of information used must be identified in the essay and appropriately reported on in a section at the end. It’s essential that you don’t copy bits of other peoples work and present it as if it is your own. This is a serious offence called plagiarism. If you’re caught plagiarising you will at best lose marks, but more likely the consequences will be much more serious. At worst you might get expelled from college or university. Don’t take essays from the internet and use them as if they were yours, even if the author has given you permission. Even if this isn’t technically plagiarising (if you haven’t breached copyright law) it is still dishonest. You will still face serious consequences if you are found out. You might have to re-sit the whole year, with the marks for all your coursework and exams disregarded, whether they were done by you or not. What’s more the label of being a cheat may live with you if it is disclosed by referees when they give you references for job applications. Seeking help and advise is fine, but getting someone else to do your work for you is plain lazy and cheating. It’s possible to rewrite anything in your own style, and possibly use novel examples to illustrate the point. 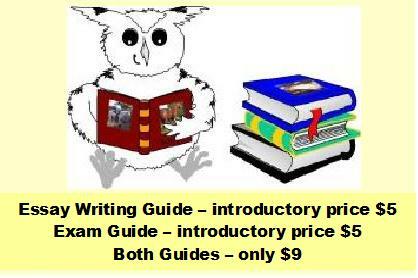 Such rewriting will help you develop your own style and improve your overall written ability. For the sake of a few moments thought it’s not worth the risk of plagiarising! Don’t assume that your tutor will not notice if you plagiarise the odd sentence or two. He or she will know much of the work published in the field and will probably spot anything you “borrow”. In addition it’s not too difficult to spot the sudden changes in writing style that tend to accompany plagiarism. You should also keep in mind that it’s easy to find out if something has been plagiarised from the internet. Powerful search engines are available on most computers, and dedicated plagiarism detection software is now being used at many schools, colleges and universities. Never plagiarise, and always reference your work properly. You should note that much of the stuff on this web-site is copyrighted! There are various ways to reference within your essays, according to how you’ve used the information sources. To illustrate this we’ll consider a fictitious example with invented characters writing imagined “facts” in imaginary books and journals. You can see I’ve used 3 different kinds of referencing. In the first I’ve said who discovered hamsters recently (Harry Hamstern). The (2001b) refers to the second of two or more publications by Harry Hamstern in 2001, which have been referred to in the essay. If we’d only referenced one 2001 paper by this author then no letter would have been used, even if Harry had published more papers in that year. A year would always be given, even if Harry Hamstern had only written one paper ever. This is so other people can find and read the paper if they wish. The second reference is to an article by Roy Rodentia and Justin Case, published in 1973. Only the surnames and publication year are given. This is a common way of referencing. If a third person (or other people) had also been involved in writing the article then the reference would’ve been “(Rodentia et al, 1973)”. The “et al” means “and others” and is almost always written in italic script. The third reference is to a quote by Charlie Critter. In this case Charlie was asked for a comment, which he kindly supplied, hence the reference to “personal communication”. The time the comment was made is also indicated. Once you’ve referenced in the text you’ll need a section after the end of your essay to give more complete details of where your information sources were published (the “references” section). The conventions for referencing vary but all include the authors surnames, with either their first names or initials, the publication year (sometimes in brackets), and the source of the information and publisher. Usually the title is given, but not always (again some journals omit titles to save space). Ask your teacher if there’s a preferred style of referencing that you’re expected to stick to. One particularly common style is shown for the example discussed above. The references are arranged in alphabetical order of the surnames of the first quoted authors, which is perhaps the most usual convention. When this system is used references by the same author or authors occur in chronological order, with letters to distinguish papers published in the same year. The first line of each reference may be formatted to be hanging, indented or flush. Sometimes references are numbered, but I suggest you don’t do this unless you’re specifically told to (discussed later). It isn’t usual to leave a blank line between references. Critter, C. 2001. Personal communication. Hamstern, H. 2001a. A history of the Syrian Hamster. London, Hamster Press. Hamstern, H. 2001b. The re-discovery of Mesocricetus auratus in Syria. Journal of Rodent Conservation 560, 211-215. Rodentia, R. and Case, J. 1973. ‘A comparison of domestic and wild Syrian hamsters’ in Hamstern, H and Critter, C (eds.) Rodent Genetics. New York, Academic Writings. Sometimes the name and year referencing system in the text is replaced by numbers, either super-scripted or given in (often square) brackets. I suggest you don’t use such a system unless you are specifically asked to. It makes editing your essay unnecessarily difficult and annoying. If you want to change the order of anything you might well have to re-number all your references. You might have to do this several times. Unless you have special soft-ware to do this job for you it’s not fun! In addition it’s easy to make errors using this system. Most journals that use this system do so chiefly as a space saving measure. If you do have to number your references then I suggest you use the system of using names and years until you’ve finished writing and editing. Only when you’re completely satisfied that you’ll not be moving, adding or removing any references should you number them, reordering the references section to match. Be careful not to reference one source twice (i.e. give it two numbers and/or replicate it’s details in the references section). There are various software programs that can automatically format and number references in various styles. These are worth considering if you have to either write often or do a large piece of work with many references.